The Canadian F1200 Series is pleased to announce that it will be part of the new Challenge Cup Series. 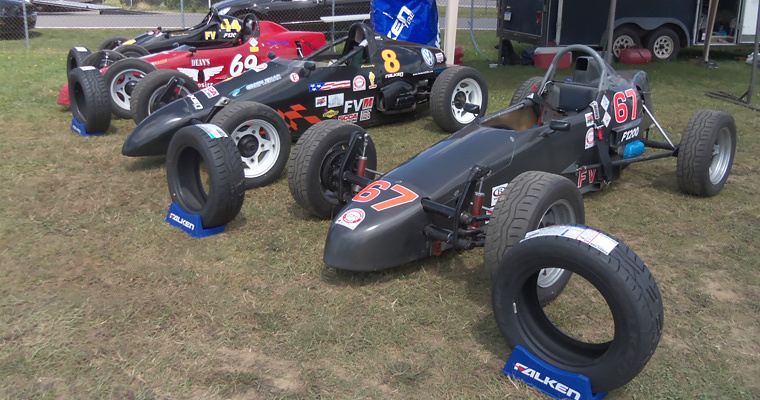 The five-race international open-wheel tour features Formula Vee and Formula 1200 open-wheel race cars competing at five different road course in Canada and the US with single class racing for all 5 race weekends. With the cooperation of the US Formula Vee and Canadian F1200 communities, the new series will feature the popular and affordable single-seat vehicles. All competitors with valid SCCA or CASC racing licenses can participate. The five-event schedule kicks off May 2 & 3 at the legendary Canadian Tire Motorsport Park, located east of Toronto, Ontario. The series heads east along Hwy. 401 to Shannonville Motorsports Park for its second of two Canadian dates, July 18 & 19 at the Belleville, Ontario-area road course. Pittsburgh International Race Complex (Wampum, PA) plays host to Challenge Cup Series’ first US event, on July 31 & August 1. The following weekend, the tour resumes in eastern Pennsylvania at Pocono Raceway. The championship will be settled August 29 & 30 on the Thunderbolt Course at New Jersey Motorsports Park, in Millville, NJ. A lot of time and effort has been put into this series, on both sides of the border, to make the new Challenge Cup Series a reality, said Canadian F1200 Series president Noel Brigido. “The goal is to bring new blood to the series and create a tour in which Canadian and American F1200 and Formula Vee racers can compete at some of the best racetracks in the world. According to Brigido, a total of $10,000 in points fund cash will be on the line as a result of sponsorship from Rochester, NY-based Complemar Partners Inc. and International Insulation Products, which has manufacturing locations in Atlanta and Orlando. For more info about the new Challenge Cup Series, contact Noel Brigido at moc.s1555750846regor1555750846@odig1555750846irbn1555750846, Ray Carmody at moc.r1555750846r.ynt1555750846s@ydo1555750846mracr1555750846 or visit ChallengeCupSeries.com.